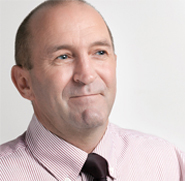 Director Hugh is our CEO and has over 40 years of Aviation industry experience. He specializes in strategic aviation management, project management, threat assessment & security analysis, development of State Safety Programmes including Continuous Management Approach (CMA) methodologies, and business development including integrated strategic policy design. 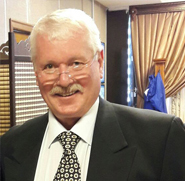 A regular guest speaker at international conferences and a former pilot and senior lecturer in the masters and doctorate degree course of Aviation Management. Director Alan is our Chief Operating Officer. Alan has over 30 years’ experience in Aviation. He is a qualified pilot and Lead and Safety Auditor. The last 17 years has seen him travel to all corners of the globe holding senior positions in flight and ground operations and accountable manager positions in Africa and Australia. 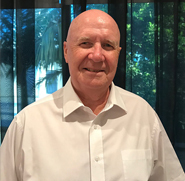 John is our Director Safety Oversight and has been involved in the aviation industry for over 35 years comprised of 20 years as an Air Traffic Controller, Senior Operations Controller and Search & Rescue Mission Coordinator (SARMC) with Air Services Australia. The remaining 15 years as an aviation consultant and two separate terms as Director General of Civil Aviation (DGCA) for the Solomon Islands and the Republic of Kiribati. Director Max is our Logistic Business and Facilitation Manager. Max has extensive business administration and IT experience and handles all the logistical, travel and paperwork for all our consultants. Together our core team has over 140 years of Aviation experience and along with this wealth of knowledge we are also able to call on a number of other highly experienced consultants we have had the pleasure of working with over the years. Wherever we are, you are assured of a friendly, professional and experienced team to guide you through all of your needs and requirements.